He has purchased by his love and blood our salvation. Anyone who calls on the name of the Lord will be saved. Today is a day to be thankful, humbled, broken, and meek. So when it comes to the Lord flowing through me I am asking for a bigger measure of grace and faith from God. I am asking for more faith, and the gifts I sense he has graced me with to be multiplied. 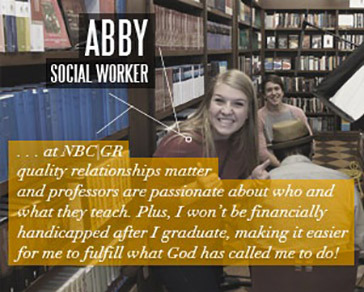 I am asking that for my family, my church leaders, and for Compelled. All the gifts differ, Paul writes , according, or in proportion to the grace (gift) we have been given. They are…. Prophecy-This is more forth-telling and proclaiming truth than giving “words” or “Thus saith the Lord” things. Teaching-Helping others grasp Kingdom and Christ principles in many ways. Generosity-giving finances, time, talents, stuff to those in need. Which ones do you lean to in how the Lord made and graced you? Many times we become shy about our gifts, like it’s wrong to ask for more faith, and greater power in our gifts. I encourage you today to get outside of your box, and pray for a greater impact for God with the gifts here in Romans 12. Just remember the gifts are to glorify Christ, and to bring people into the Kingdom, as well as strengthening believers in the faith. They are not about us, to attract attention to us, or to fill some broken need in our lives. So use your gifts, they were made for use, not for storage. Here is my view on the often-asked questions, Why do Christians suffer? Since the beginning of time, God’s people have suffered and that will continue, despite the misled teachings that believers should not suffer. Some would contest that all suffering is from Satan. That is absurd, since most of the New Testament was written to the new church that was suffering. I do not believe the Bible teaches that followers of Jesus should not suffer and God does not use suffering. I believe that is not biblical, and not a reality. Whether we like it or not, suffering draws us to Christ. Suffering reminds us of our immortality and our absolute lack of control over our life, health, and circumstances, which we desire to control so deeply. I have had some deep suffering in life, I know most have had it worse. During those dark and painful times, I turned to Christ, and knew the Lord’s presence was with me so strongly. Suffering that I have encountered and you may also. 1. Suffering from my own sin, my own choices, my own self-inflicted pain. 2. Suffering physically, with pain and/or sickness. 3. Suffering as I experience the death of my family and those I love. 4. Suffering because of other’s choices, and/or sin. 6. Emotional Suffering, discouragement, depression, because of the circumstances of life. 7. Suffering as a pastor, when I observe others choosing the world instead of Jesus, and they abandon their faith, wreck their lives, bring suffering upon their family. This deeply grieves me. 8. Suffering watching and walking with, others that are suffering from all of the above. We suffer simply for a couple of reasons according to this text. 1. Our suffering calls the Holy Spirit to us to bring comfort. 2. Our suffering bring us the experience of comfort from God so we can comfort/encourage others who are suffering (1.4). 3. We suffer so we will learn not to depend on ourselves, but on God. 4. Suffering strengthens our faith we are taught in James 1.1-4. We live in a fallen world, and we are not exempt from the suffering of this world. God redeemed us. A day is coming when we will not suffer, we will not age, our bodies will not fail us, loved ones will never die, we will never be without, and Jesus purchased that on the cross of Calvary, and the resurrection! If you are suffering now, don’t turn from God, turn to Him. Don’t blame Him, embrace His comfort. Abandon self, grow, learn, and receive the presence of the Holy Spirit. Let your roots go deep in Jesus during the suffering, and cling to the hope that Christ promises throughout the Bible. He is with you and he is with us during any kind of suffering. God is more concerned about our Character and Christ-likeness, than even our comfort! So grow during the season of suffering. It is a season, so it will end, but use it now, to know Christ! New American Standard Bible: 1995 update. (1995). (Ro 8:16–18). LaHabra, CA: The Lockman Foundation. Utley, R. J. (2002). Paul’s Letters to a Troubled Church: I and II Corinthians (Vol. Volume 6, p. 203). Marshall, TX: Bible Lessons International. 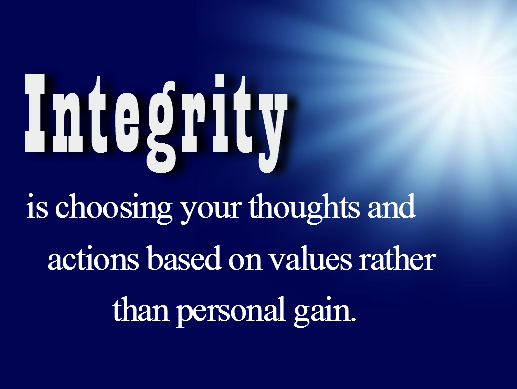 Integrity is the quality of being honest and having strong moral principles; moral uprightness. A follower of Jesus should have this. Integrity is built in years and lost in seconds, in a decision, in a moment of deception. Having integrity gives one a moral voice of authority and spiritual power and influence. Compromising integrity, leaves us lacking, powerless, and voiceless, regardless of position, something is lost. The cutting edge is dull, the plans fall flat, the blessing from Heaven dry up. Followers of Christ must guard their behavior, and their heart from anything that would steal or weaken integrity before our God and this world. The context of this verse is financial. Solomon was talking about loving money, loving stuff, loving assets, and what the world loves and values so much. Money. Greed, and the desire for material things, can cause us to make decisions that have us wander from the path of integrity. When a leader is moved by money, wanting more, desiring it, for himself and those around him to the point integrity is questioned, than a leader is in a critical position in their leadership. Most times one does not even personally notice that this slow change of heart has occurred at some point. Power and pride can easily blind us from ourselves if we don’t listen to those around us and the Holy Spirit. We must keep our hearts soft to the voice of God in our hearts and through others. This is why Paul, next to Jesus the greatest spiritual leader, tells Timothy, “For the love of money is a root of all sorts of evil, and some by longing for it have wandered away from the faith and pierced themselves with many griefs.” The Bible is true and does not lie, no matter if you are on silly and erroneous, “follow Jesus and you will be filthy rich” bandwagon, or not. If you love money and want more, you are in trouble. Your integrity will be questioned and your decisions will be marred by this driving desire. God never promises that all believers will be wealthy and rich, in money according to the standards of United States living. That is not the Bible. That is false teaching. God’s riches are so much deeper than financial, and at times may include a financial blessing. I am very thankful and glad that integrity can be regained if lost. This is through repentance and humility of heart and life. I’m thankful for the restoration power of Christ. He is so good. So let’s guard our hearts from the syndrome of wanting more, entitlement, and materialism. If you have to justify financial decisions than you might be making the wrong ones. So many have lost integrity because of financial things, don’t be one of them. Let’s walk above reproach in humility, and trust God as our provider and not our power, our influence, or plans. He will take care of us. We don’t have to do His job. He will meet our needs, so keep your needs modest. New American Standard Bible: 1995 update. (1995). (1 Ti 6:10). LaHabra, CA: The Lockman Foundation. A Church is Only as Strong as the Men. We are Experiencing a Revival of Men! 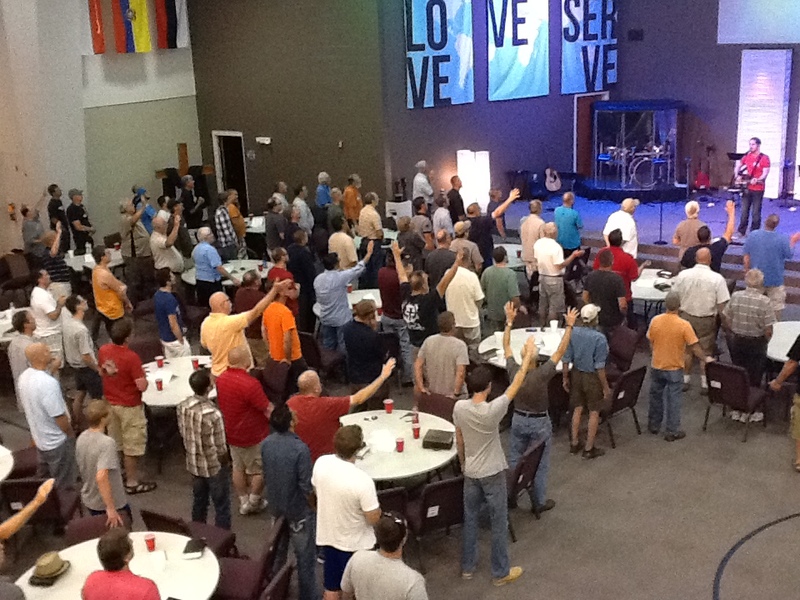 Men seeking God in response to the teaching. Last night I was blessed and blown away. We have been planning and praying for our men’s ministry we have named “Second Sunday”. Last night Bryan (Our men’s ministry leader) and I took a chance and set up 17 tables. We met with, trained 20 table leaders, ordered the pizzas, made the coffee, prayed, invited, and 108 men poured in the doors. After a great teaching by Jim Byers on the love of God, and receiving it as the foundation for all spiritual growth, a song, the tables began to buzz with discussion. for an hour the men talked about Jim’s teaching and their own spiritual lives. They shared, they made new friends, they connected to the Father and His love. Heads bowed, they prayed for each other and families, the 36 pizzas came, and in 20 minutes they were gone and the football game went up, the Euchre cards came out, the basketball and ping pong started and the new friendships and encouragement continued till 9:30. I could not even sleep when I got home I was so happy and thankful. I have always taught and modeled as best I could that a church will only be as strong as their men. Compelled Church is a man’s church, and our men our seeking God and reaching other men. I am blessed to be part of this holy move of our loving Father. Looking forward to the next Second Sunday, the men’s breakfasts (yes pastor they still work), and all our men’s huddles that meet through out the week and month. 1. Tenacity and perseverance. It takes a lot of “not giving up” stuff to serve the Lord. Life can be discouraging, the world presses in, the enemy can attack, but we can’t turn our backs from serving him. He calls us to stay faithful as he is. ” For consider Him who has endured such hostility by sinners against Himself, so that you will not grow weary and lose heart” (Heb. 12.3). 2. Love. Truly understanding and receiving the Father’s unconditional love will make you a loving person. But love is a choice at times, and should be givein out in generous portions. Loving Christians best reflect Jesus. Mean Christians, diminish the true reflection of the Father’s Heart. Love those that don’t love you. Love the stranger. Love your pastor. Love your family. Love the Word. Love worship. Love those who have hurt you. Love. 3. SelflessnessGod calls us to lay down our lives. He calls us to surrender and live for him. He calls us to serve others and to forsake our own wants and desires (Gal. 2.20). 4. Availability. Be available for God to use you. Let him speak through you. If you see a need meet that need. point people to Jesus. Be available to pray and stand in the gap for others. Be available to encourage those that need it so badly. Don’t be afraid. 5. More faith in the Holy Spirit. It’s not all up to us. We are not God. The Holy Spirit is God and he gives us power to do the above four. We must depend on the Spirit of God. We must want to be filled and baptized by the Spirit. We must want to Hear the Spirit’s voice. We need the Spirit’s touch. WE need to know He is working and has gone before us and He is enough for our situations. Remember John 26, 27, ” “But the Helper, the Holy Spirit, whom the Father will send in My name, He will teach you all things, and bring to your remembrance all that I said to you. Peace I leave with you; My peace I give to you; not as the world gives do I give to you. Do not let your heart be troubled, nor let it be fearful. I know there are a lot more things we need, byt I pray these five will encourage you today.